Simona Soddu - Italy's Young Shredder - Welcome To All That Shreds Magazine! It’s exceptional that there’s many up and coming female guitarists. Meet Simona Soddu. Simona caught my eye when I was watching her YouTube videos. Her acoustic version of Megadeth’s Tornado of Souls is phenomenal. Influenced by John Petrucci, John 5, and Nuno Bettencourt, Simona showcases her talent through the passion you can hear in her playing. Here’s some more information on Simona. Simona Soddu was born in Cagliari (Italy), where she currently lives. She started playing guitar at the age of 13, learning from her brother first and then by taking private lessons from Brian Maillard (Solid Vision, Dominici). parts in their first album “Every Forest has its Shadows” and playing with them in several live shows. Afterwards, she appeared as guest musician in the rock-opera ‘Checkmate‘ by D.G.I., performing the guitar solo on track 7. Between 2013 and 2014 she recorded her first instrumental solo album ‘Leftovers’ and started to actively run her YouTube channel with over 300 thousand views. ‘Leftovers’ is a collection of 11 instrumental tracks entirely composed by Simona Soddu during her whole music growth. All of these compositions were never been released for different reasons: some of them were supposed to be in the first album of her death melodic metal band Grim Drowsiness that eventually split up; others were rejected at the time; and some others were not suitable for the genre of the band she had at the moment of their conception. Thus after a while Simona decided to recover all of these ideas, literally “leftovers”, re-arrange them and put them together in this album. This is the reason why metal tones are often alternated to clean sounds or relaxed rhythms and the genre of Leftovers is overall highly diversified. Simona recorded all the guitar and bass parts. The drums, as well as the keyboards, were written by Simona and emulated with a sample software, except for track 2, 4, 8 and 10 where drums were played by Davide Sgualdini who also co-produced, engineered, recorded, mixed and mastered the album. ‘Leftovers’ was released on November 14th 2015. 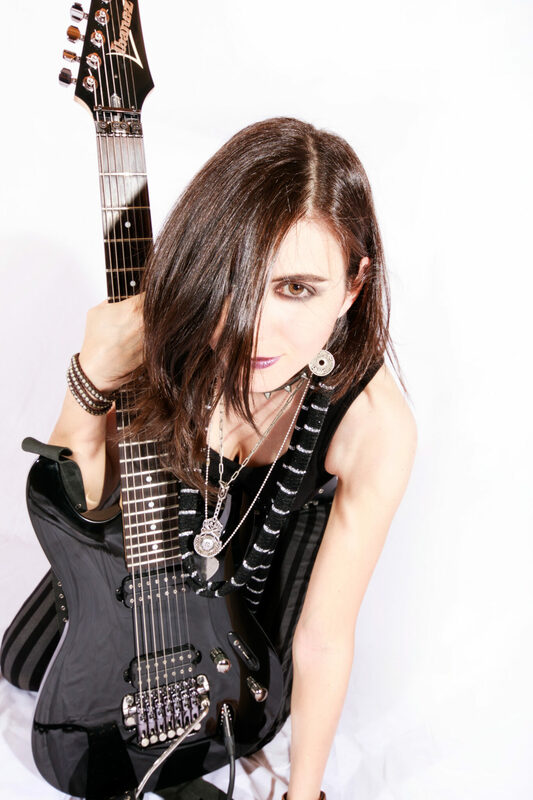 Simona is a talented player, who exuberates sounds of Satriani, and her influences of John 5 and Petrucci. ‘Leftovers’ is available on Spotify, ITunes, and Amazon.